Although recreational use of the drug is now legal, the new law specifically holds that companies have the right to keep a drug- and alcohol-free workplace. They reserve the right to hang onto policies that disallow the use of marijuana by workers or prospective workers. Many employers in contact with cannabis advocacy group California NORML say they intend to keep their current drug screening policies, many of which do not allow the use of marijuana. Companies say it’s not just that they are trying to be a stick in the mud. Those in human resources explain there are some legal concerns, first as far as federal law goes. Although California law now allows recreational and medicinal use, the federal government does not. The second concern stems from liability. A worker who is required to operate heavy machinery or be on high alert cannot be under the influence of any substance, including marijuana. But drug testing for marijuana poses a lot of challenges that simply don’t exist for alcohol. 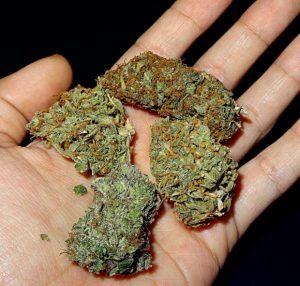 What’s tricky about marijuana, as opposed to alcohol, is that one can drink alcohol on his or her off-time and not have it show up on any kind of drug test. However, marijuana remains in the bloodstream longer, which means a worker may be flagged for being a user of marijuana, even if he or she always comes to work completely sober. You can conduct an accurate roadside test for alcohol intoxication. The same is just not true for marijuana. As noted by The Los Angeles Times, drug testing by employers really first gained steam in the 1980s during the Ronald Reagan era. That’s when federal workers were required to be screened as part of the president’s (now failed) War on Drugs. Other employers soon followed suit. Today, even medicinal marijuana isn’t exempt under company drug testing policies. The California Supreme Court ruled on this very issue in 1996, holding that medical marijuana users won’t get an exemption so long as the drug remains illegal under federal law. That means employers are under no obligation to accommodate medical marijuana use by employees – even if that use occurs after hours. Cannabis advocacy groups have been pressing for legislation that would change that fact, but employees need to know what their company’s drug policy is – and assume that hasn’t changed just because recreational marijuana is now legal in California. Companies whose primary focus is safety (i.e., transportation, construction, etc.) are probably the least likely to alter their policies anytime soon. Employment attorneys are generally advising corporations to update their company handbooks to make it clear that marijuana screening can and will still be taking place. Some company administrators say screening for marijuana has always been problematic, but the issue has become more acute now that the drug is becoming increasingly legal.